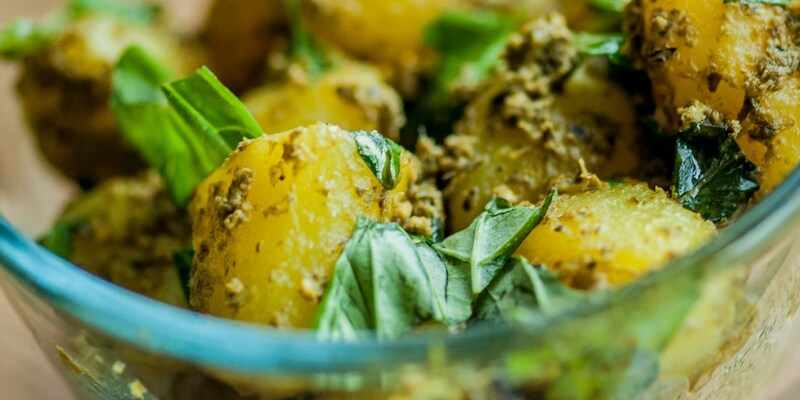 Potato salad is a British stalwart that has enjoyed a revival in recent years, and with good reason - an easy, fresh tasting potato salad can be the perfect complement to a main meal. Graham Campbell’s Roast chicken recipe is enhanced by a salad of herbed potatoes - a lighter alternative to a pile of roasties - while Lisa Allen pairs her Salt baked sea trout with a traditional new potato salad. This collection of potato salad recipes demonstrates how the beauty of potato salad is that the dish can also dazzle in its own right - both Shaun Rankin’s Maple glazed potato salad and his Warm Jersey Royals with goats cheese and figs are stunning examples of salads with style, likely to upstage any main dishes they accompany. For a meal in itself, Marcello Tully’s Smoked salmon and potato salad recipe is served with hot horseradish and crunchy asparagus, for a wonderful blend of flavours and textures.